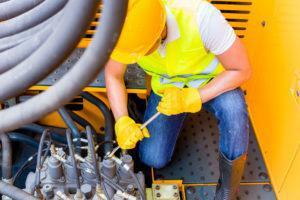 Routine service and preventative maintenance is crucial for keeping your equipment running at peak performance efficiently. 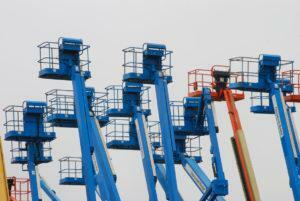 We can help you avoid downtime and save valuable resources which in the long term have a lot of benefits for your costs. We also do have mobile repair site service and our service is developed in a way that to handle your needs from a simple basic service to a major repair. Our staff do understand the importance of “money” and “time” and as such strive to repair or service your equipments correctly and quickly at the most affordable rate. 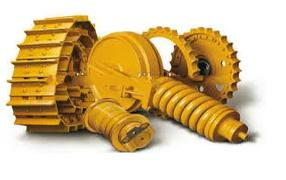 We distribute a range of undercarriage parts, ground engaging for hydrulic excavators and crawlers. Over the span of providing construction services, we have gained valuable experiences dealing with clients. That is why we always ensure that our products are kept in pristine condition and that we approach our clients with utmost professionalism. 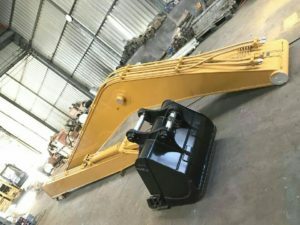 We provide the sales, rental and servicing of air compressors, crawler cranes, bulldozers, boom lifts and scissor lifts, terrain cranes, dump trucks, excavators, forklifts, power generators, motor graders, rollers and wheel loaders. 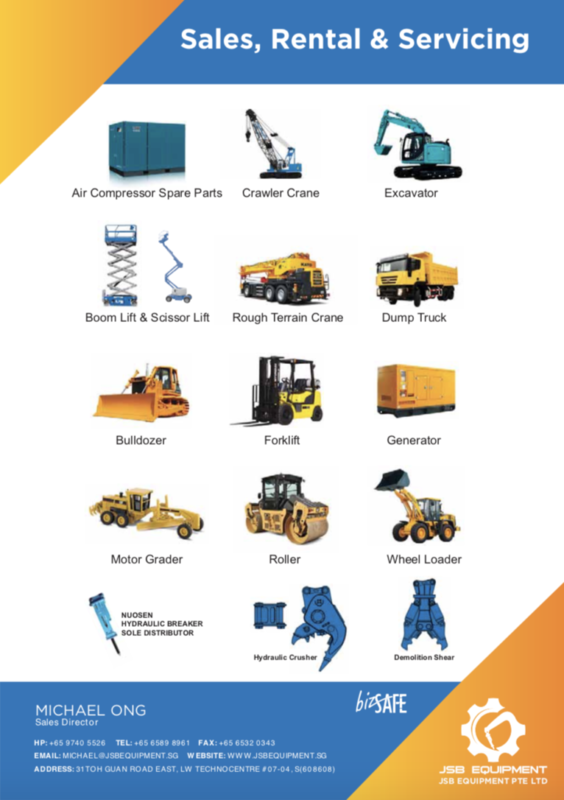 In order to deliver high quality construction equipment, we carry brands such as Airman Air Compressor and Generator sets. We provide OEM (Original Equipment Manufactures) from Japan and Korea. 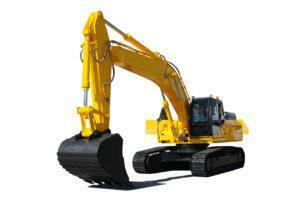 We distribute a comprehensive range of Excavators, Boom arms and Bucket etc. We have a extensive portfolio for your projects and our listing is keep updating weekly, Please do not hesitate to contact us in order to receive our latest prices and promotions.